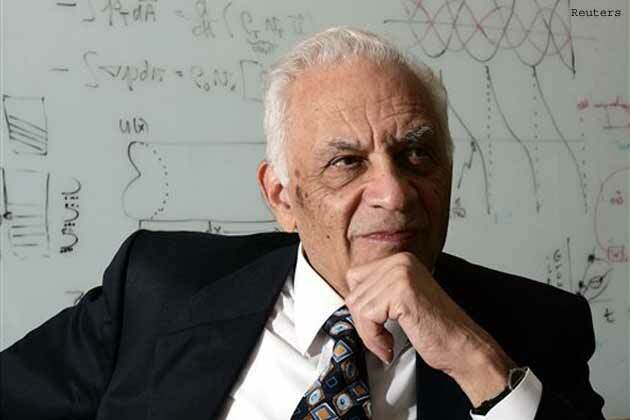 Acoustics pioneer Amar Bose, founder and chairman of the audio technology company Bose Corp, known for the rich sound of its small tabletop radios and its noise-canceling headphones popular among frequent fliers, has died at age 83. Bose's death was announced on Friday by the company's president, Bob Maresca, and the Massachusetts Institute of Technology, where Bose began his acoustics research and was on the faculty for more than 40 years. Details about Bose's death weren't immediately available. Bose founded the company, based in Framingham, just outside Boston, in 1964. Maresca said the company will remain privately held. "Dr Bose founded Bose Corporation almost 50 years ago with a set of guiding principles centered on research and innovation," Maresca said in a written statement. "That focus has never changed." The company's products include elegant Wave system radios boasting "lifelike, room-filling sound," cushioned QuietComfort headphones for reducing background noises such as airplane engines, home theater accessories and computer speakers. In 2011, Bose gave MIT the majority of Bose Corp stock in the form of non-voting shares whose dividends are used to support education and research. MIT does not participate in management or governance of the company. Bose, who was born and raised in Philadelphia to parents who were natives of India, received his bachelor's degree, master's degree and doctorate from MIT, all in electrical engineering. The university said Bose made his mark in research and in teaching. Bose started a research program in physical acoustics and psychoacoustics, leading to the development of patents in acoustics, electronics, nonlinear systems and communication theory. "As long as there are interesting problems to solve, I'll stay active," Bose said in a 2005 interview. MIT President L. Rafael Reif called Bose "an extraordinarily gifted leader." "He made quality mentoring and a joyful pursuit of excellence, ideas and possibilities the hallmark of his career in teaching, research and business," Reif said in a statement. Bose loved teaching, said his son, Vanu G Bose. "While my father is well known for his success as an inventor and businessman, he was first and foremost a teacher," the son said. "I could not begin to count the number of people I've met who've told me that my father was the best professor they ever had." Bose was given many awards and honors during his lifetime. He was a Fulbright Postdoctoral Scholar, an elected member of the National Academy of Engineering and of the American Academy of Arts and Sciences and a fellow of the Institute of Electrical and Electronics Engineers. In the 2005 interview, Bose said he tried to let his curiosity be a guiding principle as he demonstrated an experimental, Bose Corp.-designed car suspension system. "Even our financial people were trying to get the engineers to discourage me, because they all saw money going into it," said Bose, a lifelong tinkerer who began repairing radios as a teenager. "But some things you just believe in."